The first official day of Spring this year is March 20th! And that is just around the corner. Are you ready for sunshine and green grass? I know I am. You may have put some thought into Spring Cleaning already but have you thought about the outside of your house? Your yard is going to need some attention if you want it to look good this season. Here are some things for you to keep in mind as you prepare your yard for spring. Everything and everyone needs a good upgrade from time to time. Just like cell phones, landscape and gardening equipment gets out of style and outdated. If you want to have a nice yard, you are going to need functioning equipment. A lawn mower that only works half the time will make this year's lawn-upkeep a pain in the neck. Investing a little time and money in new tools is going to benefit your yard exponentially. An upgraded lawn mower will vary from person to person. If you are getting old and tired of pushing your mower uphill, maybe it's time for a self-propelled lawn mower. If you are trying to me more economical this year, perhaps an Eco-Friendly lawn mower will feel more like an upgrade. Either way, a new mower is probably not a bad idea if you've been running the same one for a few decades. Or if you want to get serious this year you should just get one of those ride-a-long mowers and be a total BOSS. Do you use a garden hose to water your lawn? While hose faucet watering is nothing to be ashamed of, an automatic irrigation system might be the upgrade you're looking for in 2012. If you already have an automatic sprinkler system, you can still upgrade it by adding a few zones for more efficient watering or a garden area. With an Orbit irrigation manifold you can add up to three more sprinkler valves resulting in more zones for you to play with! While a good sprinkler timer can last an upward of 15 years, it might be time for you to switch yours out. I've dealt with dozens of sprinkler timers and it's not hard to tell when their end is near. One of the first signs is the Easy Dial will not respond to every turn. Play with your sprinkler timer a little bit and make sure it's running flawlessly. If you are experiencing some bugs, it might be time to upgrade. Another upgrade you might consider is adding to your house. Homeowners extend their living quarters all the time by knocking out a few walls and adding a game room, an office, a bigger kitchen, or a second garage to their house. Most the time this kind of upgrade cuts into your yard, which can be a really good thing. 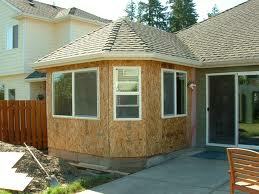 If you're not looking to deal with dry wall and insulation, you might be wanting to just add-on to your yard. Turn the side of your yard into a vegetable garden or put in some more grass. This is much easier than adding onto your house and can completely transform the look and feel of your yard. Add a swing, a hammock, a decorative arch, or a bench for an outdoor escape where you can be alone with your thoughts. A great way to save money is to inspect your equipment at the beginning and end of the planter's season. Giving your equipment a nice little tune-up could save you a lot of money. Powerwash the upper side of the mower and especially around the gearcase and front wheels where a lot of debris builds up. Turn it over a few times, take it for a test run, and order needed parts before its too late! 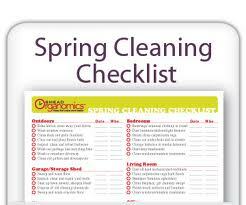 If you have a weed eater, lawn edger, leaf blower, chain saw, or hedge trimmer, be sure to inspect those, too! You should inspect your sprinkler system for problems regularly. At the start of spring you ought to do a thorough inspection so you can order any needed parts before it gets too hot and your lawn dwindles in despair. Maintaining a sprinkler system can be tedious and even expensive. But the more often you do thorough inspections, the more likely you are to catch problems before they get out of hand. Check sprinkler valves - Remove each valve and inspect them individually. Sometimes you can repair the valves yourself so you don't have to buy a brand new one. Irrigation Flush - Check for clogged pipes, sprinkler heads, wet spots, flooding, and faulty zones/valves. Filters and Screens - Replace any clogged filters. If you don't already have an Orbit filter for your sprinkler system, they are recommended and work with all lawn and irrigation systems. Check Sprinkler Heads -A broken sprinkler head is normally a quick and easy fix but can be a terrible water waster if you don't get it fixed. Sprinkler Controller -Like I said earlier, it might be time to upgrade to a new sprinkler timer. Watch for cracking in the plastic and mechanical malfunctions. 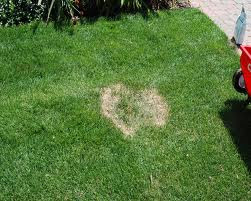 A great way to quickly improve the look of your yard is to repair the discolored patches. This is especially important to do in the spring because the cooler temperatures help the grass grow. Rip out any remains of dead or dying grass, sprinkler some seed on the exposed soil, add fertilizer, and keep the area moist until it sprouts. Rain gutters can get pretty nasty after the leaves of Fall and storms of Winter pass. You don't want crowded gutters when the April showers come that are just around the corner. Get up on the ladder and make those gutters shine.